With so many resorts on WDW property, it is easy to be intimidated by the large number of choices. One way to narrow down the list of possibilities is to start by looking at the three different categories of resorts: Value, Moderate, and Deluxe. Once you know what category you want to pursue, there are a variety of hotel options within each resort category from which to choose. There is no wrong choice; part of the fun of going back again and again is being able to experience a variety of rooms and resorts all over property! Disney resorts at all levels with have the same trademark Disney service and attention to detail, theming, and cleanliness. They all come with complimentary transportation to and from Orlando International Airport, as well as transportation to the theme parks, water parks, and Downtown Disney. (See here for more information on how to navigate WDW transportation). At all resorts, you will also receive the great benefit of Extra Magic Hours; each day, at least one park will open one hour early or stay open 2 hours late beyond posted public hours, only for resort guests. This is a great way to tour the parks with low crowds, and experience a lot of the most popular attractions with little to no wait. Resort guest may purchase a Dining Plan, which is a very convenient way to pre-pay for your food, and often saves money versus paying out of pocket. All resorts (and parks) offer complimentary wifi- which is useful for using the free My Disney Experience app to help plan your stay. All rooms on property are non-smoking. All resorts feature Resort Airline Check-In, allowing you to check in for your flight, print your boarding pass, and check your luggage directly at your resort. Are visiting with a family, especially small children. While all resorts are family friendly, the theming at Value resorts is bright, colorful, and full of energy; oversized whimsical icons make for a fun stay with great photo opportunities. Have a larger family that cannot fit into a standard size room. Suites are available that sleep up to 6, and include a master bedroom, living area with convertible sleeping options, a mini kitchenette, and 2 full bathrooms. Entry to rooms: via an outside hallway (rooms are in exterior buildings). Art of Animation Suites are located in exterior buildings, but the entry to the room will be via an indoor hallway. Bedding: 2 double beds (standard room).King beds are only available in accessible rooms. Suites have a Queen bed in the master bedroom, and a living space that has a convertible sofa, and either a convertible chair (All Star Music) or convertible dining table (Art of Animation). Standard rooms, preferred locations, and pool view rooms are all available. Number of guests: Maximum 4 guests, plus one child under age 3 in a portable crib. Suites can accommodate up to 6 guests, plus one child under age 3. Pool/recreation: Each resort has a feature pool, which is the largest and most elaborately themed, as well as at least one quiet pool. All pools on property are heated to a comfortable 82 degrees. Value resort pools do not have a slide. Transportation: complimentary transportation is offered from Value resorts to all guest areas on property by bus. Would like slightly more elegant décor and subdued theming than a Value resort, without the higher price tag of a Deluxe resort. The moderate resorts also have a water feature (a lake or river). Are interested in having a table service restaurant at your resort. Port Orleans French Quarter does not have its own dedicated table service restaurant, but shares with Riverside. Bedding: 2 queen beds (standard room, except for some at Caribbean Beach). A king bed can be guaranteed and is an upgraded room category. A variety of other room categories are available, including preferred, water view, pool view, garden view. Coronado Springs Resort also features a few suites and Business Class rooms. "Story rooms" are available as well: Pirate Rooms at Caribbean Beach resort, and Royal Guest Rooms at Port Orleans Riverside.These feature some of the most elaborate theming and storytelling decor of all rooms on property. Number of guests: Maximum 4 guests in most rooms, plus one child under age 3 in a portable crib. Some rooms at Port Orleans Riverside and Caribbean Beach can accommodate up to 5 guests (plus one under 3), and a few suites at Coronado Springs can sleep up to 6. Pool/recreation: Each resort has a feature pool with a slide. Except for French Quarter, they also feature smaller quiet pools. Each resort has a hot tub as well. All pools on property are heated to a comfortable 82 degrees. Coronado Springs has a fitness center that guests may use. Surrey bikes can be rented at Riverside and Caribbean Beach. 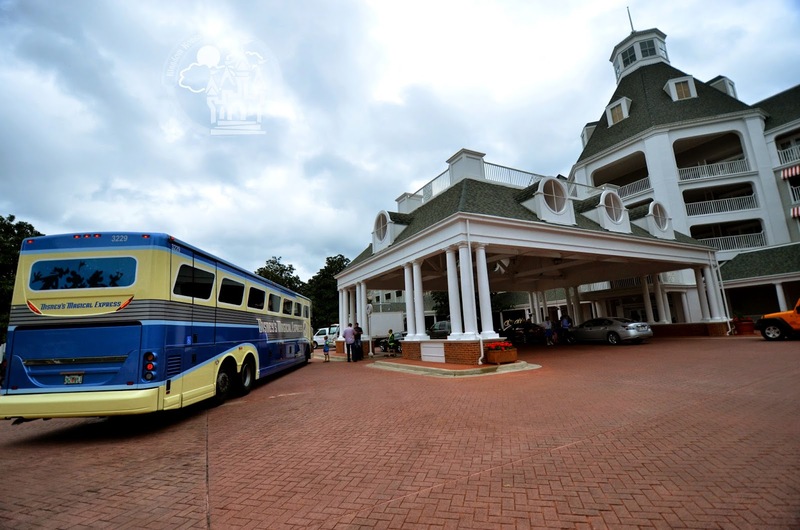 Transportation: complimentary transportation is offered from Moderate resorts to all guest areas on property by bus. With the exception of French Quarter, all resorts have multiple bus stops; these are fairly large and spread-out resorts. The Port Orleans Resorts also have boat service to Downtown Disney. Occasionally included in the list of Moderate Resorts are The Cabins at Fort Wilderness. At 514 square feet, the Cabins are a great option if you have a large family; they can sleep up to 6. You will find the comforts of home at the Cabins, including a fully equipped kitchen and room separation for privacy. Have a family of 5 or more. While Wilderness Lodge and Animal Kingdom Lodge can only sleep 4 (plus a child under 3), the rest of the Deluxe resorts can accommodate 5 guests in a standard room (plus a child under 3). Many have suites that can accommodate more as well. The Deluxe Villa resorts can accommodate large parties, with 1, 2, and 3 bedroom villas. 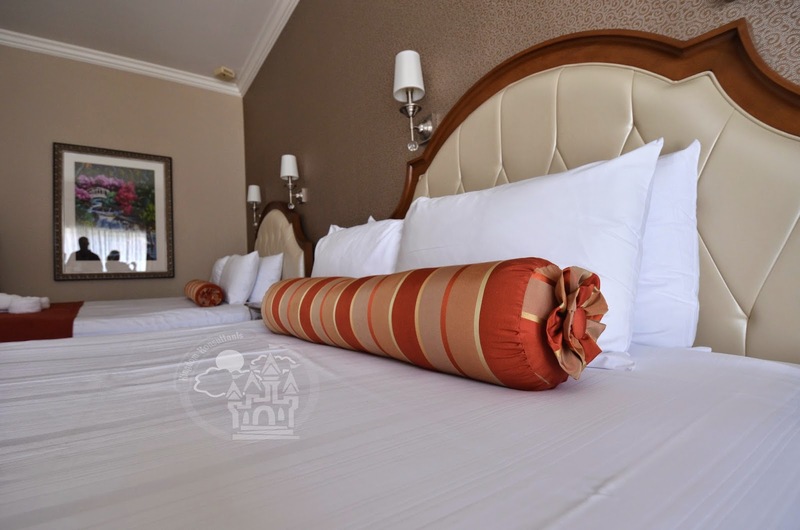 Bedding: A variety of options are available throughout the resorts. Most have 2 queen beds or 1 king bed, with the possibility of a day bed or sleeper sofa. Animal Kingdom Lodge and Wilderness Lodge feature bunk beds in some rooms as well. A wide variety of room categories and views are available, giving you the opportunity to book exactly which type of room you prefer. Number of guests: Deluxe resorts typically sleep 5 (plus one under 3). Animal Kingdom Lodge and Wilderness Lodge standard rooms accommodate 4 (plus one under 3). Suites and Villas can accommodate more. Pool/recreation: Each resort has an elaborately themed feature pool with a slide, and many have quiet pools as well. Most Deluxe resorts feature a hot tub. All pools on property are heated to a comfortable 82 degrees. Many resorts have a marina where you can rent watercraft, and all have access to a complimentary fitness center (some resorts share). Surrey bikes can be rented at Wilderness Lodge, Boardwalk, Saratoga Springs, and Old Key West. Transportation: complimentary transportation is offered from Deluxe and Deluxe Villa resorts to all guest areas on property by bus. With the exception of Animal Kingdom Lodge, they also feature at least one alternative form of transportation (monorail and/or boat), and some are within walking distance of a park. Additional Amenities: Many Deluxe resorts feature an onsite spa. Children’s Activity Centers can be found at Animal Kingdom Lodge, Polynesian Resort, Wilderness Lodge, and Beach Club. These are supervised centers where potty trained children age 3-12 can play games, do crafts, and watch movies while their parents have a special dinner or some alone time at the parks. Reservations are suggested, and can be made up to 180 days in advance. No matter where you stay, you will be surrounded by magic in a resort that tells a story in its own way. I suggest taking some time on your next trip to explore a new resort that you haven't visited before!